AMA University and Colleges is a top choice for excellent IT-based education in the Philippines and a member of the AMA Education System. It was founded by Dr. Amable R. Aguiluz V in 1980. He named the school after his father, Hon. Amable M. Aguiluz. As a pioneer in computer education in the Philippines, AMA is considered as one of the reliable producers of graduates who are highly competent in different technologies and applications needed in the industry. As an IT-based institution, AMA integrates the use of technology in all its programs, even for those that are not related to IT or computer studies; thus making its students ahead in terms of knowledge in usage of different industry-required business applications and carry the advantage of being tech savvy. 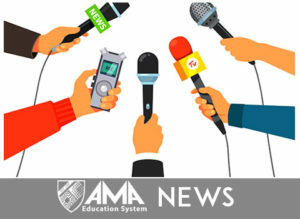 Recently, AMA launched its distance learning program called AMA University Online Education (AMA OEd) in order to respond to the demand for full online education in the Philippines. The said program is the first full online degree program in the country and is now also offering full online Senior High School program as an Alternative Learning System (ALS), to provide students with special needs or those who have challenges going to a physical school a way to pursue their studies albeit their situation. With the implementation of K to 12 in the Philippines, AMA pioneered Blended Learning System for Senior High School, which is a learning method that combines online education and face to face classes. AMA Senior High School students go to school only 3 days a week, and the remaining 2 school days, they study online at home or even while travelling at their most convenient time, promoting a well-balanced student life.